Will Cincinnati's Pride Parade be affected by the Orlando attack? 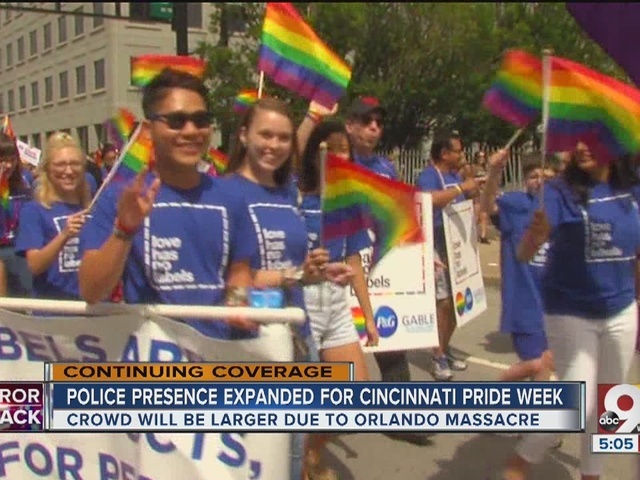 CINCINNATI -- Cincinnati's 43rd Pride Parade is planned for next weekend, and in light of Sunday's terror attack at Pulse, a gay nightclub in Orlando, parade organizers said the celebration is more necessary than ever. "Every time we've been knocked down, we stand a little taller and stronger than before," said Shawn Baker, co-president of Cincinnati Pride. Baker said he expects attendance to beat last year's crowd of 90,000. "I am now expecting thousands of people to come out in solidarity of our community," Baker said. The massacre, which claimed the lives of 49 clubgoers and injured over 50 more, is one of the largest acts of mass slaughter on U.S. soil since end of the Civil War. Americans from all walks of life have struggled to comprehend it, and members of the LGBTQ community are coming together to support one another through the aftershock of what President Obama described Sunday as "an act of terror and an act of hate." Even far from Florida, the fear inspired by the attack hits hard, especially for LGBTQ Americans. Below Zero Lounge, a gay Cincinnati night club, hosted a vigil for the victims of the attack Monday evening. "There are people out there that are alone, and they hurt when they see something like that, and our community being attacked, " said Scott Hamlin, who attended the vigil. "It’s heartbreaking, and [the vigil] is a way they can come out and be comforted by family. We are a large family." Shawn Baker said the Cincinnati Pride Parade will stop at Fountain Square for a moment of silence in remembrance of the Orlando massacre victims. Cincinnati police have planned for extra security at the parade, which includes uniformed and undercover officers. "We'll be there in all facets," Chief Eliot Isaac said. "We'll do everything within our capabilities to make sure it's a safe event for all." The safety plan goes into effect Saturday and will continue through Pride Week through the parade and festival on June 25. "The safety of everyone is paramount, and we're going to do everything we can to provide that safety," Eliot said. City Manager Harry Black compared the parade to the high level of security used during the MLB All-Star Game last summer. "We can plan and prepare for what we know," he said. "It's what we don't know that we need to be prepared for." Mayor John Cranley said anyone attending the parade will be safe. "We're going to do everything we can to not let this change our lifestyle, not let us change our pride in our community," he said. 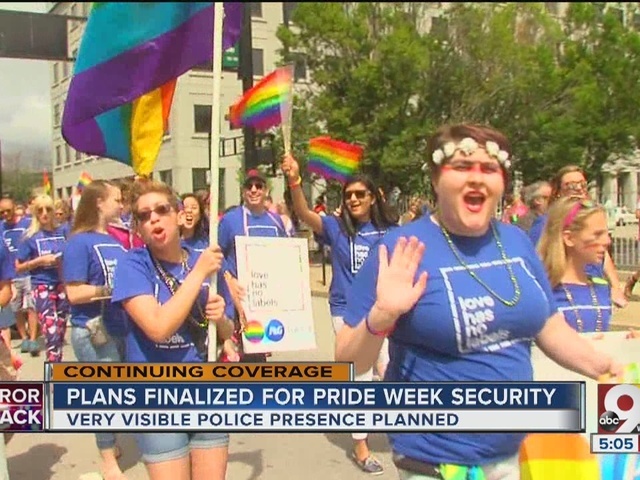 On Monday, the Cincinnati police command staff will meet with the city's law and public safety committee to outline the security plan for pride week. The Cincinnati Pride Parade kicks off downtown June 25 at 11 a.m.